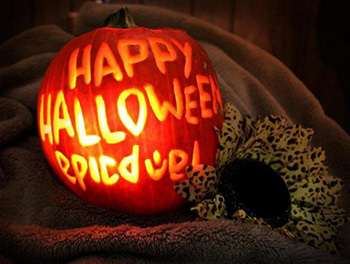 Hi there EpicDuelists, I am super-excited about all of the awesome things coming your way in the week(s) ahead! I don’t even have a witty intro paragraph- let’s dive right in! 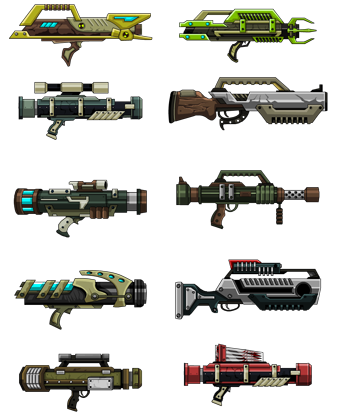 As awesome and dedicated as our players at or near the level cap are, the vast majority of our players are in the lower levels, so to give new players a more dynamic EpicDuel experience, Charfade’s made a whole arsenal of low-level bazookas for your dueling pleasure! And I’ve written a bunch of new quests- available from Exile Soldier, Habuki, Steve 2.0, Junker 2.0, and ConductorBot- that should help lower-level players get their duel on! 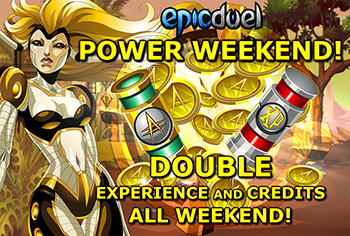 If you’re inexperienced, you cannot pass up these sweet rewards! High-level? 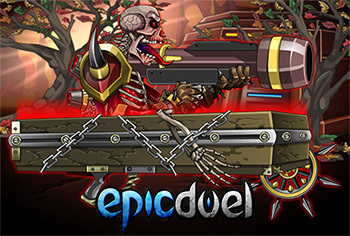 We’ll have some nice stuff for you too, especially with our next minievent. Although I suppose you could do these missions as well, there’s certainly nobody stopping you. And if there was, it would be the level 3 guards. Bonus! 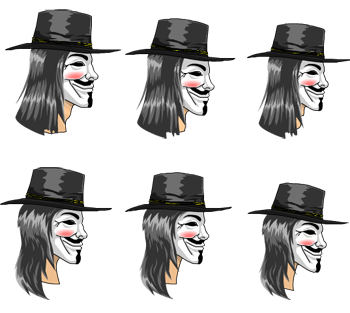 Celebrate Guy Fawkes Day a day early with these festive, but sinister masks! "Remember, remember, the fifth of November, Gunpowder Treason and Plot"
Harvest Wrap-Up, Harvest Wrap-Up! Let’s finish our Autumn cheer, ‘cause soon Winter will be here! I’m not sure what makes your face implode, but that’s how this is gonna work. 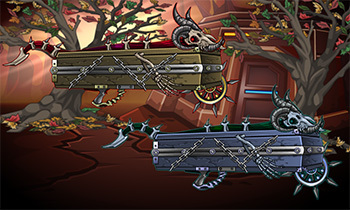 We’ll be working on a new, experimental feature coming soon to EpicDuel in the coming weeks. I’ll be working very closely with Nythera for this, and I’m actually not too sure how it’ll work yet, so watch this space as we hammer out the kinks! As we’re leaving the Harvest behind, we’re all ecstatic to get started working on the next big holiday. Even in the Dead of Winter, Citizens of Delta V are still able to find reasons to celebrate, and Players will have much to celebrate, since we’ll be able to have full quest chains for this event! We’ll also be introducing players to new people and a new (to the Players) world. 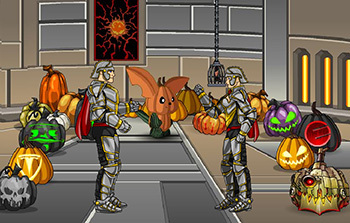 During this event, you’ll be introduced to new allies (and new enemies!) and have a chance to permanently affect the planet’s balance by your actions! 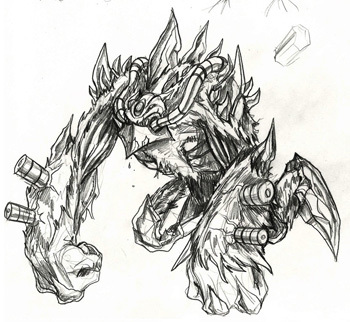 If you follow Nightwraith on Twitter, you’ve been seeing some of his concepts for the new enemies you’ll be facing- the SnowHazards and Frostbiters. 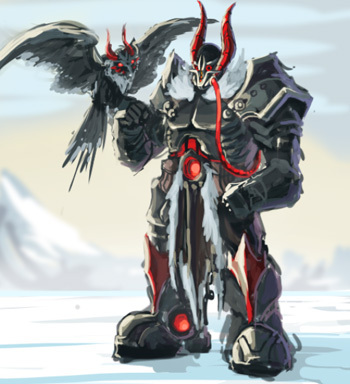 The SnowHazards are large and keep warm underneath their thick layers of soft, thick fur, while the Frostbiters are slender and well adapted to navigating the bitter cold ice floes. 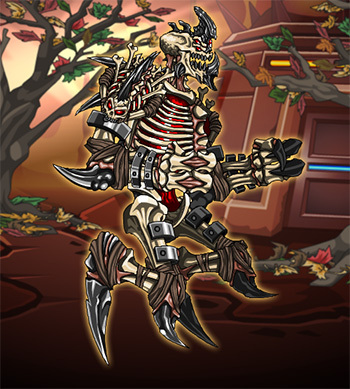 Both of these creatures were created much like the Hazards- wild creatures were corrupted by Legion scientists, and overtook the wild populations within a few generations. You’ll be called upon to challenge these horrifying Beasts soon enough. It’s truly incredible to be making something that inspires so much creativity, and seeing the characters you imagined come to life. Nightwraith just showed me his sketches for some of the characters I’d created, and it’s a truly unbelievable and unique experience to see how he’s interpreted my words and brought them to life. We’ve also been working on a special gift for the players for this release, but this is one we’ll keep tight under wraps! Is your torso suffering from perpetual lack of coverage? Do you need a t-shirt? Maybe one that has a dragon logo on it? If so, then- by golly- you’re in luck! Artix Entertainment Logo t-shirts are now available at HeroMart. 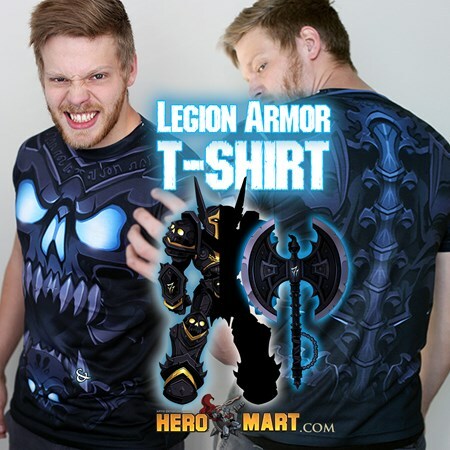 For $19.99 plus shipping, you too can look as cool as Dage the Evil! 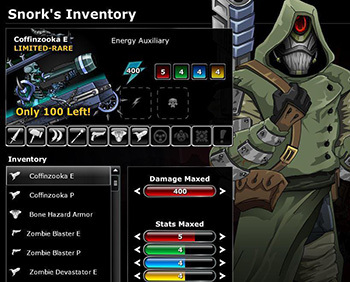 In addition, the Artix Entertainment Trading Card Game Chaos Mod Pack and DoomWood Mod Pack are now available at both Toys-R-Us and HeroMart. 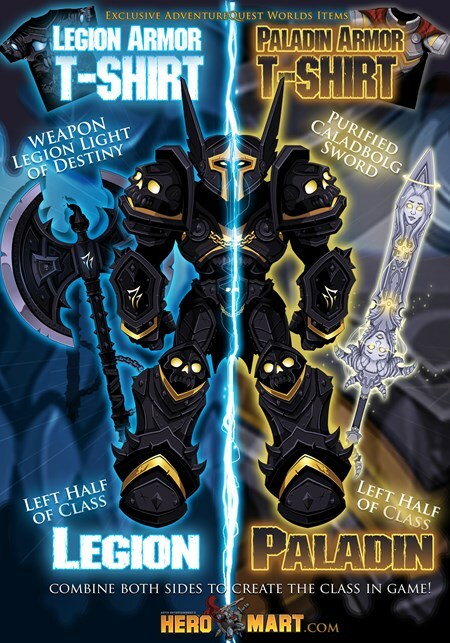 When both packs are purchased, players earn the powerful Paladin Slayer class in Adventure Quest Worlds! Tis the season for generosity, and yesterday marked the official launch of Child’s Play Charity’s Holiday Season. Founded by Mike Krahulik and Jerry Holkins of Penny Arcade fame in 2003, the charity has sent close to nine million dollars in toys, games, and books to children’s hospitals worldwide. The Charity works in two ways: donors can view a hospital’s wish list on Amazon and purchase a gift for the hospital directly, or they can donate directly to the charity via PayPal. When gamers unite, they can make a huge difference, and we hope that some of our players with room in their hearts can spare a thought for a sick child. Insects have limited ability to regulate their internal temperature, and have several mechanisms for surviving in low temperatures. One such mechanism utilized by insects and other arthropods is diapause- a state of dormancy characterized by the seizure of certain metabolic processes and lack of responsiveness to external stimuli. During the induction phase which occurs at a genetically predetermined stage of life, the insect is particularly sensitive to external stimuli in the form of light, temperature, or food chemicals. The Preparation phase follows the induction phase and is characterized by storage of food molecules within the insect’s body to prepare for Initiation of diapause. This is when morphological development ceases, and other physilogical changes take place to prepare the insect’s body for freezing cold. This may be accompanied by behavioral changes, such as the aggregating behavior of Monarch butterflies, who cluster together for warmth following a mass migration. The period of diapause is called the Maintenance phase, and when environmental conditions are once again favorable for growth and development.